With the small exercices that I try to resolve, I progress slowly. then get and show the result in Shortcuts. 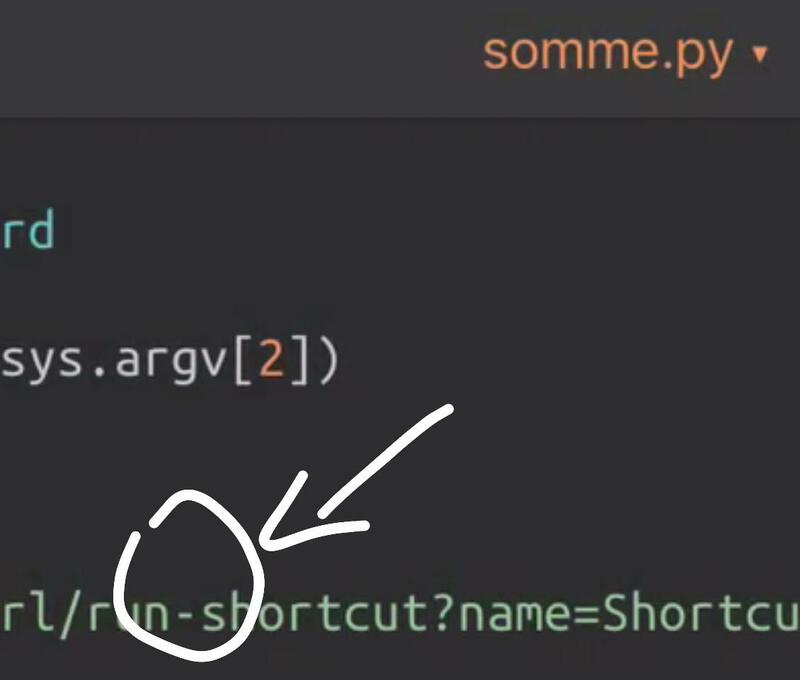 I’ve found a solution to transfer the result to Shortcuts with the clipboard but it seems possible to do it with x-callback but I can’t find how :-(( I've tried many options in my url in Pythonista and the Open X-Callback URL in Shortcuts but it's always bad. # I don't know what variable you want to use n1,n2 or n3? I've got an infinite loop. @Enez-Houad Strange, that works for me. I have the new beta installed, and you? @cvp I use the last beta of Pythonista too ! And here is a mp4 recording of my screen. @Enez-Houad Did you try to remove both apps from memory? @cvp It's ok with two :-)) Thanks for your patience ! 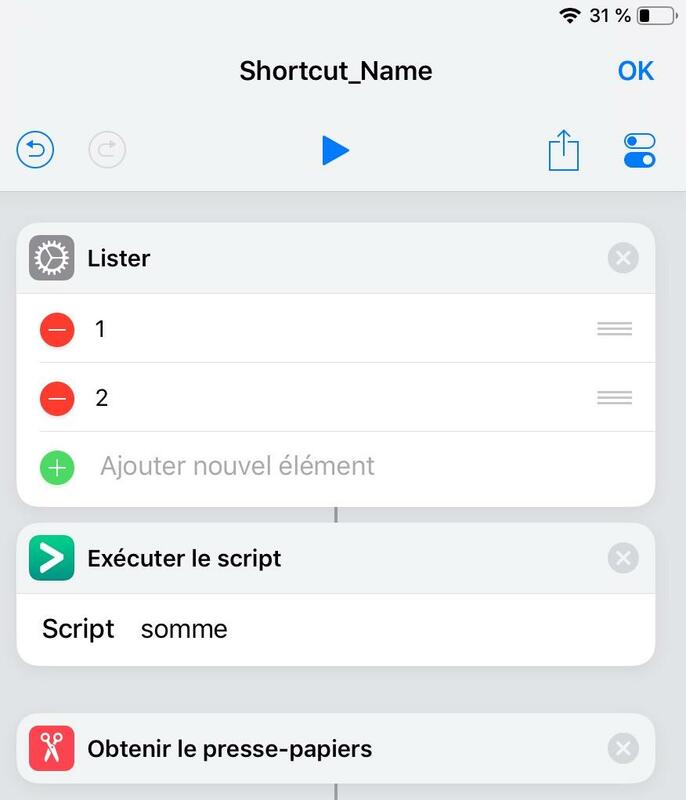 Shortcuts’ Open X-Callback URL allows for setting custom callback keys. By setting Success Key to argv the success is appended to the call to Pythonista as the last argument. Unfortunately only one of the keys can be set to argv as only the last one will be appended.